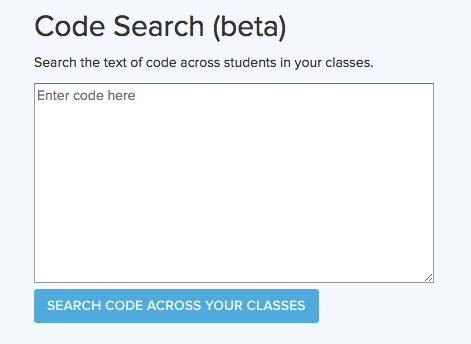 What is Code Search and where do teachers find it? Description of Code Search and where to find it on CodeHS. 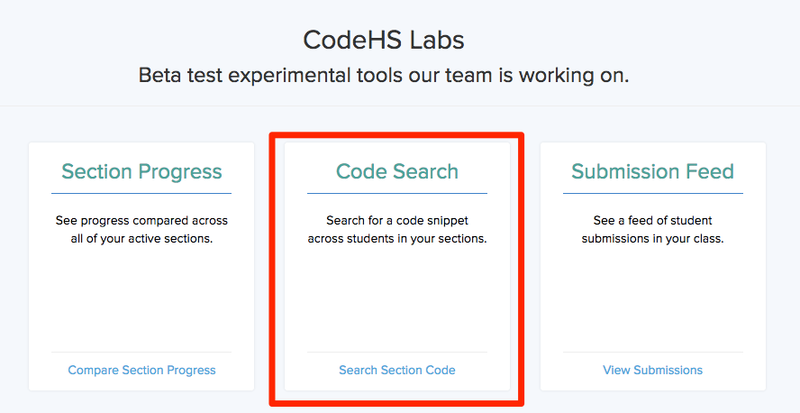 Code Search is a handy tool that allows teachers to search for code snippets across all of their classes, spotting cases where students might be borrowing or copying code from one another. This is especially useful if you're beginning to see a function or variable names that sound all too familiar... You can now enter the code into Code Search and see if there are any other culprits using the same formula... and voila! 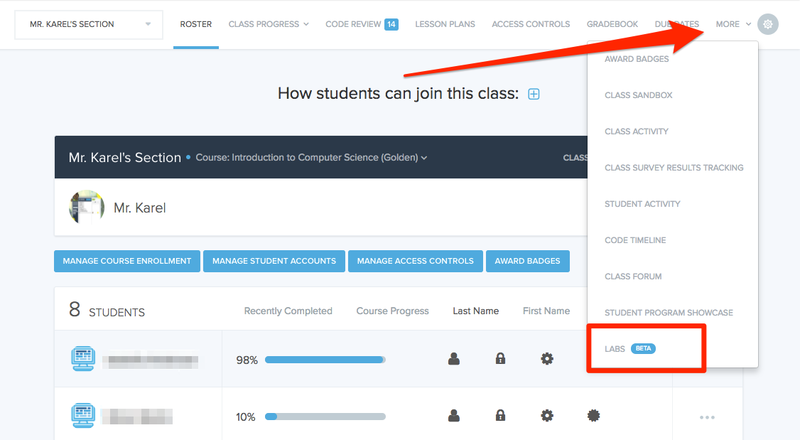 You'll find every instance in which that code was used in your class. Where do you find Code Search? From your section page, click on "More" and then "Labs"
From the Labs page, you'll find a number of different tools, including Code Search. For more resources to monitor student work, check out our article on cheating prevention as well.